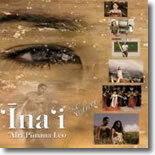 Hawaiian Language Performance of the Year Award recipient of the 2002 Na Hoku Hanohano. Yet another award winning release from our wonderful Hawaiian Language and Culture preservation and lifestyle enrichment organization. Please visit their wonderful website: http://www.ahapunanaleo.org/ and if at all possible, please make a contribution.